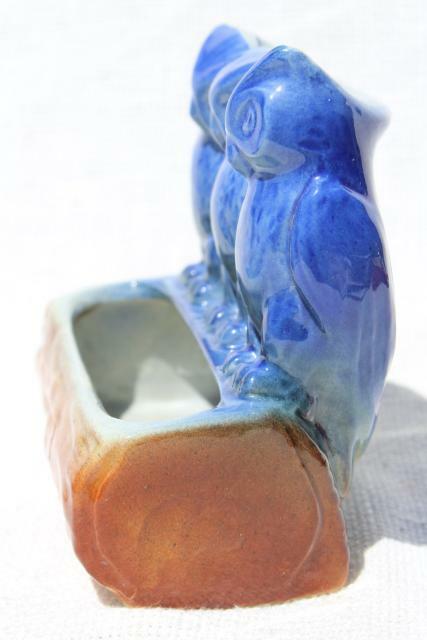 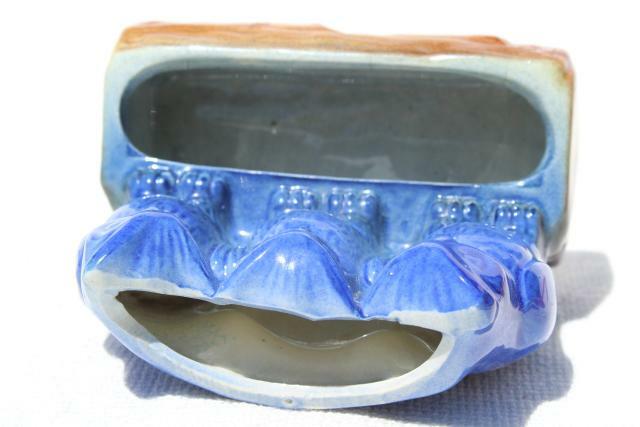 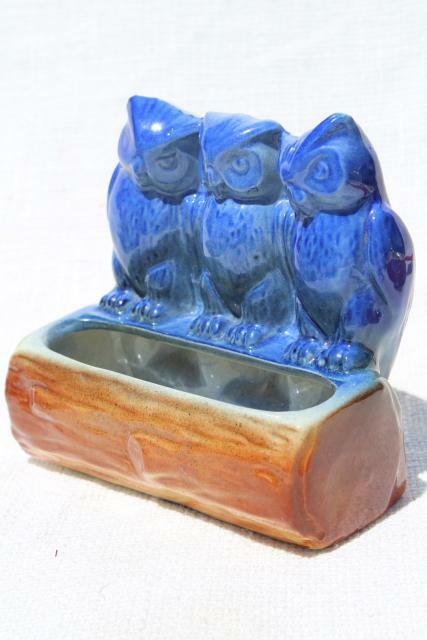 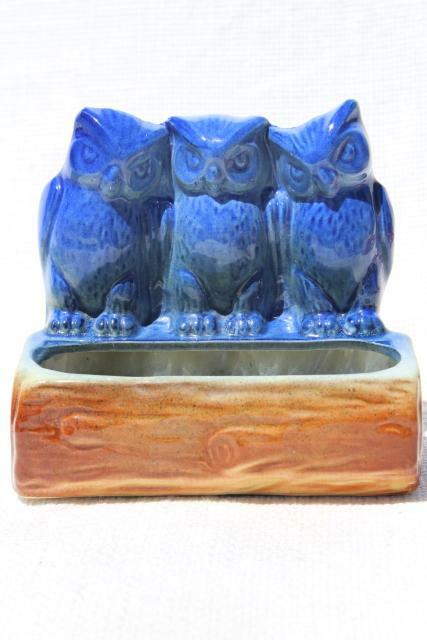 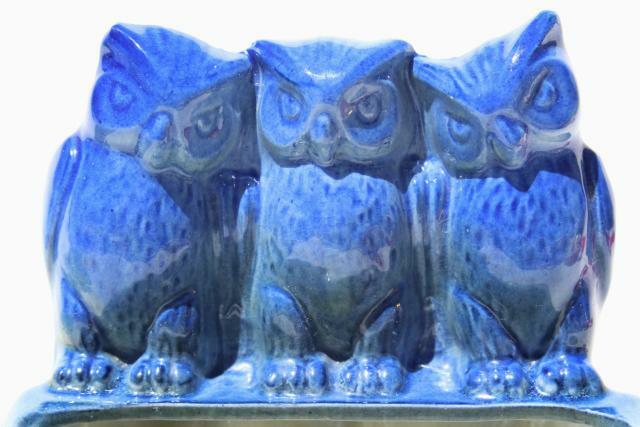 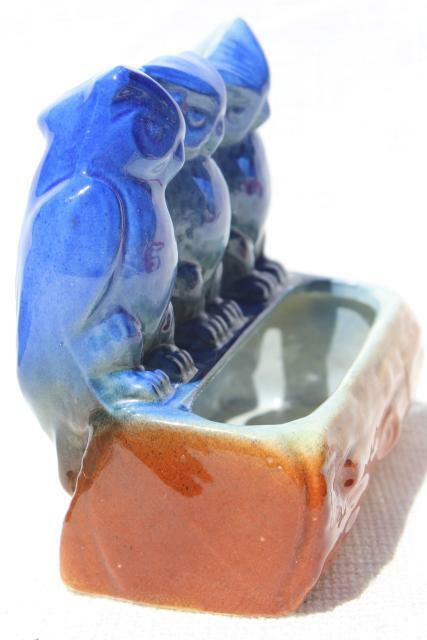 Vintage ceramic planter with owl family in blue on a brown log. 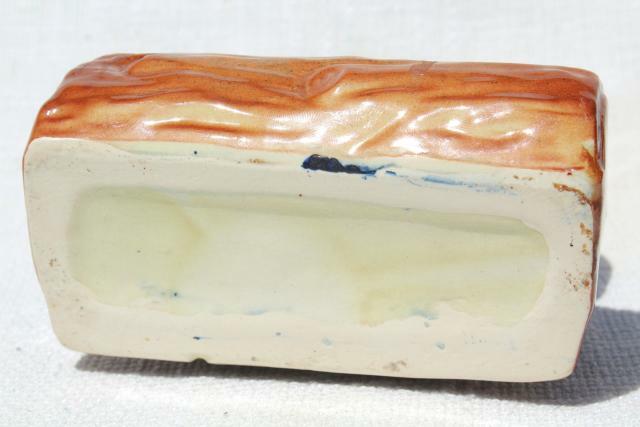 This is unmarked, looks like vintage USA to us. 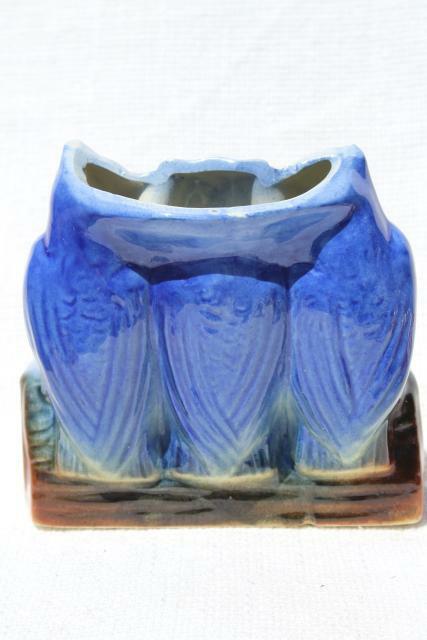 It measures about 5 1/2" wide x 4 3/4" tall overall, and is in good condition, no cracks - just a small chip or maker's flaw to the bottom rim.